We are committed to fix your vehicle right the first time. When servicing a vehicle, there’s no greater resource than the knowledge of the people who designed, engineered, and built it. Toyota of Riverside’s Technicians know how to get the most out of your vehicle’s performance. We are the only ones around who have the tools built specifically for your vehicle and access to the most up-to-date technical service bulletins directly from the factory. And, every service we perform comes with a competitive price. 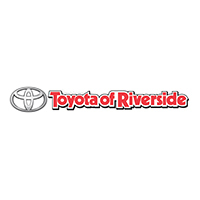 Come to Toyota of Riverside for top-quality, expert automotive service and repair. Schedule an appointment with our service department by clicking button.